China continues to warm up to the talent of Aamir Khan. After Dangal (2016), it looks like Secret Superstar Movie (2017) is well on its way to make $1000 million (Rs643 crore approx.) in the Chinese box office, as reported by ENT group. 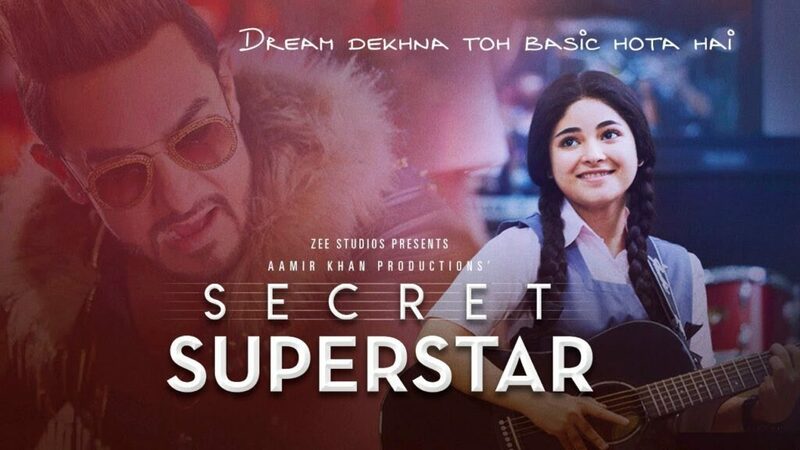 Secret Superstar made $2.31 million (Rs14.9 crore) on Thursday (8 February) taking its China collection to $101.11 million gross (approximately Rs650 crore at current exchange rate). The Indian film continued to top the China box office, marginally beating local film Till The End Of The World, which pocketed $2.15 million (Rs13.9 crore approx.) on Thursday. Secret Superstar though faces a huge task to beat Dangal that grossed a whopping $193 million (Rs1,240 crore approx.). The Secret Superstar film released in China on Friday 19 January, with 55,666 shows, which was moved up to 63,536 shows on Sunday, 21 January. The week saw a slump in the number of shows to 46,544. However, looks like the film will face tough competition to reach Rs1,000 crore in the coming to week as a host of Chinese films are lined up to be released next week. Whether it crosses Rs1,000 crore or not, Aamir Khan and a team will be pleased with the terrific response to the film that was made at a relatively modest budget of Rs50 crore. The post Secret Superstar Movie Crosses $100 Million Mark in China appeared first on SouthColors.